Iraq: Can ancient Babylon be rescued? 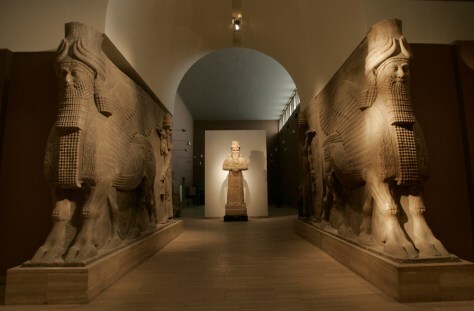 An Assyrian statue, center, and two Assyrian human-headed winged bulls shown here at the Iraqi National Museum in Baghdad. The museum was looted in the days after Saddam Hussein's downfall in 2003.